Target audience: Nonprofits, social change organizations, videographers, educators, citizen publishers, journalists. This is part of Creating Media, our ongoing series designed to help nonprofits and other organizations learn how to use and make media. The Open University has been working on developing a new space in its Practice Based Professional Learning environment for youth workers, and I was asked to put together a short guide on how youth practitioners can create video content to share insights into their own practice. 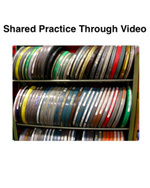 The result is Shared Practice Through Video, which, in the spirit of sharing, is released under a Creative Commons license and available for download as a PDF.